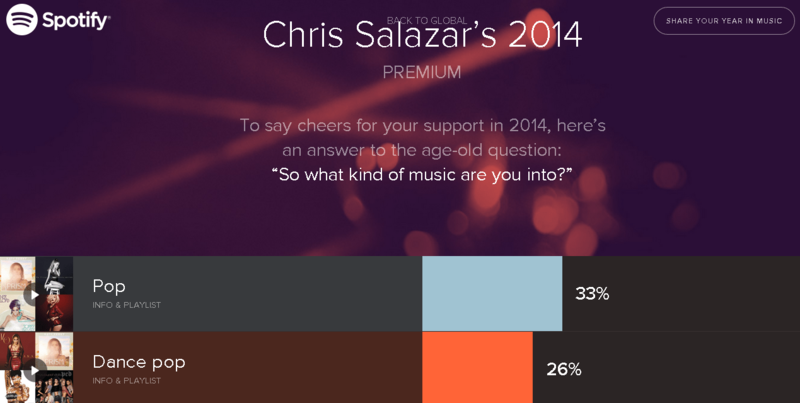 Spotify rolled out their “Your Year In Music” infographics to give you a glimpse into your music lifestyle. Spotify has been in hot water lately but they understand the need “to do a better job of explaining to artists how streaming benefits them.” Warner Music Group CEO Stephen Cooper knows that music steaming is important to their business, but Spotify needs to figure out how to keep artists onboard. Artists are already leaving Spotify, namely Taylor Swift with her recent launch of 1989. Total # of minutes listening to Spotify – I’m at ~11k minutes! 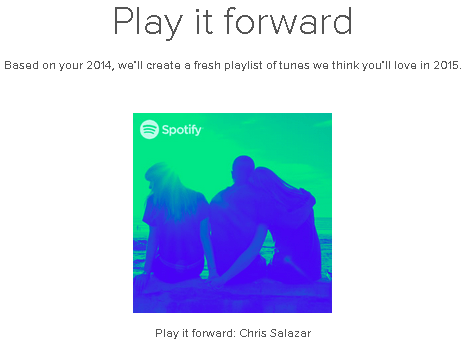 Cool features from Spotify that will keep me listening and paying premium for. 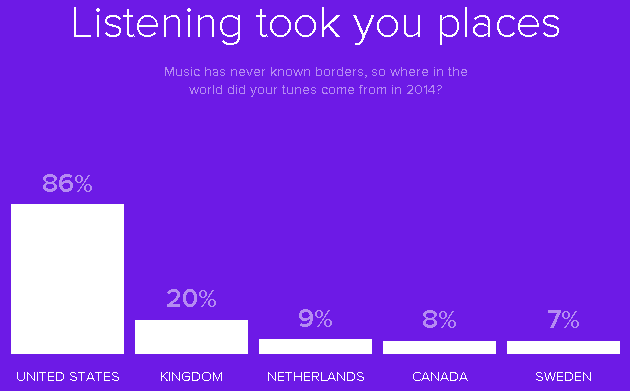 I do hope 2015 is the year Spotify figures out how to align with the music industry. Digitally, they have the web experience figured out. Now just need to work on the good ol’ fashioned business relationship.